Shaky camera shots can be a great addition to car chase scenes or in any other scene that tries to highlight movement. Filming a perfectly still shot, and adding the camera shake effect in post-production is probably the best way to make sure you'll end up with a great final cut of your video. If you decided to shoot from your tripod and you are looking for a way to add camera shake effect, you are at the right place, because in this tutorial we'll provide you with all the information you'll need to add camera shake effect to your video. You don't need the Adobe Premiere Pro or any other advanced video editing programs to create the camera shake effect, because of a software like Wondershare Filmora9, enables you to accomplish this task faster. 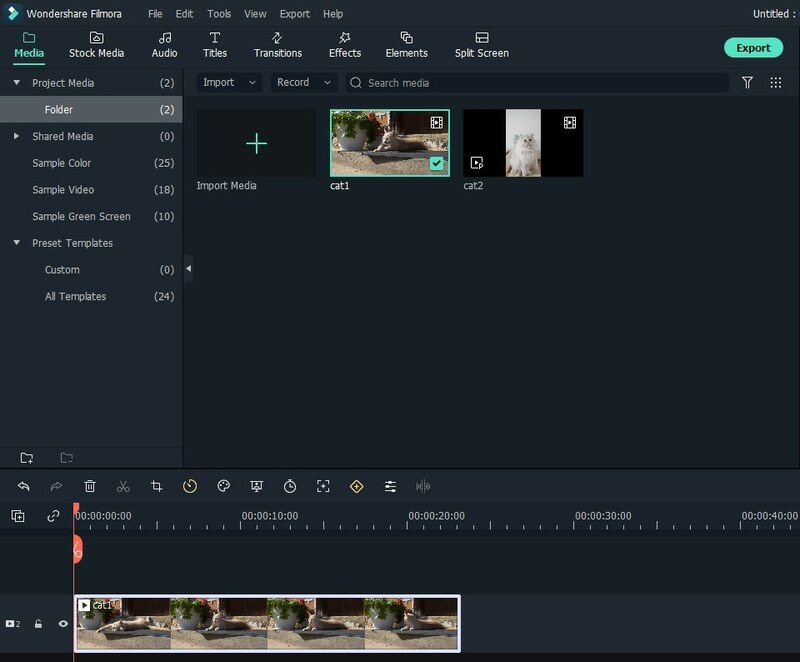 Performing all of the essential video editing actions like trimming, cutting or even rotating video clips is an effortless process in Filmora. The Wondershare Filmora also provides a number of extremely useful effects, such as Green Screen or PIP and its users can choose from 8 different camera shake effects. 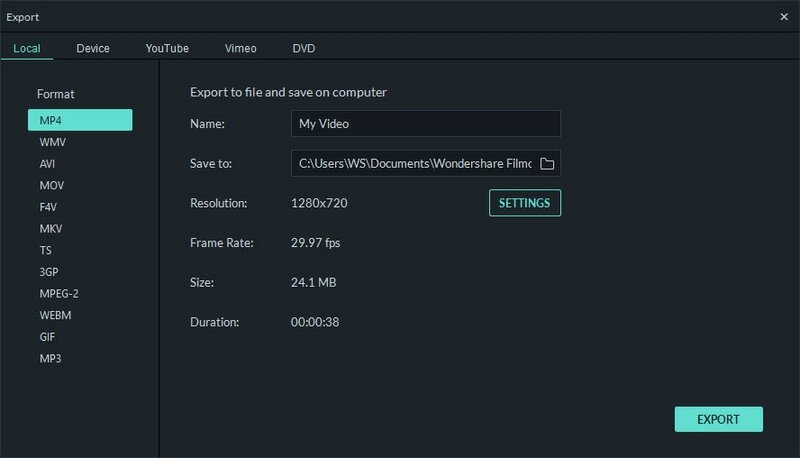 In order to start adding camera shake effects to your videos, you must first download and install the latest Wondershare Filmora9 on your Mac or your PC (click the download button above). Once you've successfully installed Filmora on your computer, you should open the editor in the Full Feature Mode. Click on the Import menu, and select the Import Media Files option to add your video clips to the editor's media panel and then drag and drop the files you want to edit to the timeline. Remove all the parts of the video clips you don't want to include in the final version of your video, by using the Cut and Trim tools. Combine the clips to create a rough cut of your video. You can also add titles, transitions, overlays or music to make the project you are working on more complete. Applying the visual effects is one of the last steps of each video editing process, so after you've completed all other editing actions, click on the Effects icon and locate the Shake category. Note: Please download the latest version of Filmora to apply shake effects. You'll be able to choose from Chaos, Mild, Extreme, Up-Down or Sideways camera shake effects, and if you would like to preview the effect, double-click on it. Select the one you'd like to add to your video clip and drag and drop it onto Filmora's PIP track. In order to adjust the duration of the effect, you can drag its side left or right and if you would like to adjust the frequency or the intensity of the effect double-click on it, and adjust these values by using sliders and then click OK to save the changes you've made. Click on the Export button if you think that your project is complete, and select the output format, resolution of the video and the location on your hard drive where the video clip will be exported. You can also export your video directly to ouTube or Vimeo from Filmora. Making videos is a creative process, above anything else and the visual effects such as Camera Shake can be used to express your creativity. 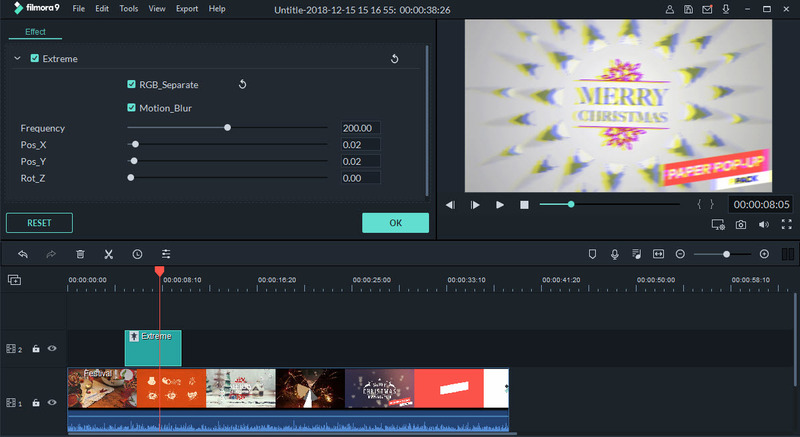 Wondershare Filmora9 is an editing software that will enable you to unleash your creativity and create amazing videos. Check what else Filmora9 can do for you. there is no sahke in the filter tab ?